Either I can’t count or Rackbrute have one extra hp on each row. I already filled upper row with one extra hp. I didn’t want to gamble on lower row and bought modules which I counted would fill it but there was one extra hp. I probably get empty one hp panel to fill the hole. There are no functional one hp modules and I got what I want on case already. Well not all but I will get to that later. I finally got tuner. Without it I didn’t use modular that much. I can’t tune by ear. I need something to tone the synth. Only way was to connect it to computer but I was always too lazy to do that. So I didn’t use modular that much. Tuner has made modular fun again. I just turn synth on and tune oscillators when I need to do that. No need to open computer and connect synth to it. It is just like with guitar. You need to get tuner early on. Addition to tuner I got first Doepfer modules. For those who doesn’t know Doepfer is father of eurorack format. Ever since I started to build eurorack synth I wanted to have something from Doepfer to give love back to them. Problem was they didn’t have anything I really want besides their SEM filter. It wasn’t going to be in this case because I had enough filters in it already. I decided to get ADSR even though it is 2 hps wider than Pittsburgh Modular’s ADSR. I thought it would fill the case with Doepfer’s dual VCA. If I knew there would still be one hp left I would have got Pittsburgh Modular’s ADSR and something 3 hp sized like Erica Synth’s Trigger to Gate module which would be useful with Rene. I might do that when I get next case and put Doepfer ADSR there. Not saying Doepfer’s ADSR is bad module. 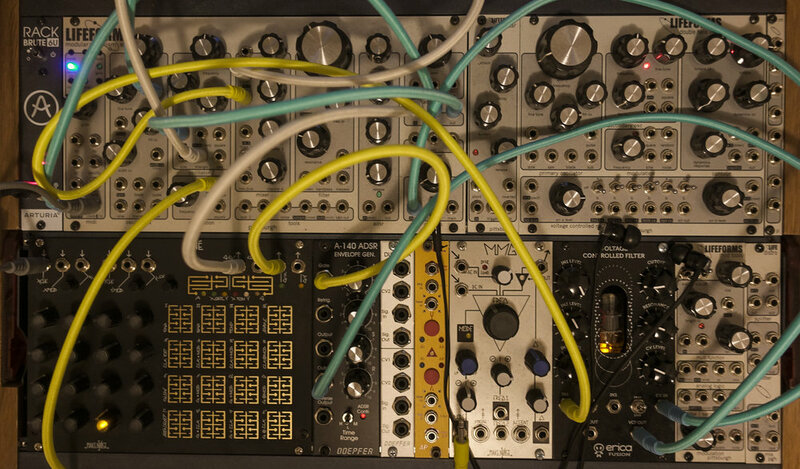 It has some benefits over Pittsburgh Modular’s ADSR but with eurorack cases you have limited space and you have to have system which makes most sense. Sometimes it means getting rid of something because there is something smaller doing almost the same thing. I have had plan to buy second Rackbrute. There are few modules I want for my eurorack. Everything I wanted didn’t fit into one if I wanted to have functional synth on one case. Most of module I still want are from Make Noise. DPO, Maths, Wogglebug and Tempi will be basis of next case if I decide to get it. Doepfer’s SEM will be on it too. Anything else is still open. Only plan is to make it fully functional. So it could be used with out first case. Or have it another voice when first one gives first voice. I planned to not buy synths this year. That plan is gone now. I preordered Minibrute 2S. If I sell MInibrute this could count as upgrade but I am probably not selling it. With this and Rackbrute with few select modules I get most of what I planned getting from bigger eurorack. That sequencer looks amazing. I hope you can use additional tracks even when you take notes from midi. Might not be possible since they share patch bay slots with aftertouch and velocity. Rackbrute with Wogglebug, couple envelopes and mixers, SEM filter and additional oscillator would be good start. There is still room for other modules. I haven't checked what I could have with 6U Rackbrute. I don't need much more to have everything I want from eurorack. Some more modules from Make Noise and probably some Erica's Fusion modules if there is enough power and space. Minibrute will come first. Rackbrute or new eurorack have to wait. Minibrute 2 announcements inspired me to make Minibrute video. You will hear few reasons why I am so excited by these new synths. They are what I wanted improved in Minibrute and much more. I hope there won't be coming too many new as interesting synths from NAMM. I hope you didn't want dry sound of Make Noise 0-Coast. This has lot of effects. It doesn't sound like this dry. Some effects used may not be obvious but there are lot of effects some going 100% wet by the end. Video has only two instruments, Make Noise 0-Coast and Elektron Analog Rytm. Rest is effects. You might see 0-Coast getting midi signals during feedback section. That is because when freezing the track Ableton Live also freezes clips on that track after freezing the track on arragement view. You don't hear those notes in the video. This is what you get when you video the freezing and tweak effects afterwards. Title is a joke. This is not in space. I named video like this because of "space sounds". First two Lifeforms videos seems to get likes and views. So here is third one. I am using eurorack modular with only Pittsburgh Modular Lifeforms modules. That is why name Lifeforms in title. Is West Coast synthesis becoming main stream? East Coast/West Coast thing doesn't limit itself to hip hop. In synth world it is lot less violent and doesn't have as much harsh language. In synth world it is about philosophy of what synthesizer should be. East Coast is about creating instrument suiting regular western music. I am not talking about country. I am talking about all western music where octave is divided into 12 steps. West Coast was about revolutionizing the music by throwing all the rules away starting from regular scales. On east Bob Moog was figure head and on west it was Don Buchla. It might be needless to say East Coast became popular while West Coast stayed in obscurity. You really have to like synths to know West Coast even exists. It has mostly lived on modular side. I don't remember seeing West Coast hardware that isn't able to connect any modular format or was in some modular format. That is part of the philosophy. Make Noise 0-Coast (in picture above) is one of those synths. It is not completely West Coast. It is something in between East Coast and West Coast. I would say it is West Coast synth made for people familiar with East Coast. It is easy gateway to West Coast synthesis. 0-Coast is one of those instruments bridging cap between East Coast and West Coast. It is coming from West Coast side. But East Coast side is also taking steps towards West Coast. Arturia's Brutes and Korg's Minilogue and Monologue take little steps towards complex oscillators of West Coast with their wave shaping capabilities. They do more than just extending pulse width modulation which has been standard in East Coast. This is not only hardware thing. Native Instruments have West Coast Blocks in Reaktor 6. 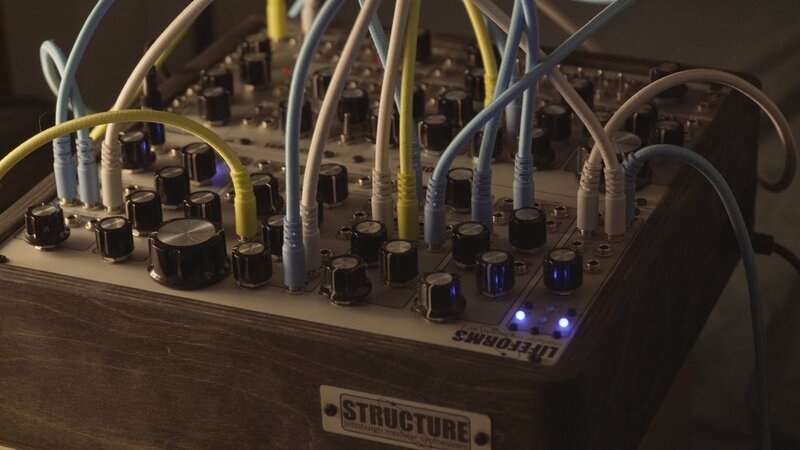 Softube added emulation of Buchla 259e into their Modular software couple months ago. Arturia just upgraded their V Collection to 6th version. It includes virtual version Buchla's Music Easel. This makes two virtual versions of Buchla hardware in short time. V Collection is collection of classic instruments in virtual form. Music Easel is first West Coast synth in it. I hope this this gives more West Coast for us after West Coast becomes more familiar to musicians. I don't need things throwing away western musical scales. I like to have more instruments like 0-Coast which are reasonably priced and easy to use for people more familiar with East Coast. It is time for something new and fresh. Mix of East Coast and West Coast could be it. I spend way too much time planning what synths I should buy next rather than using ones I already have and I don't have much room for new gear. However every now and then I have feeling I have to get something new. Now is time of tax returns and bonuses. I have more money to spend but I am not sure where to spend it. I don't have money or room to get everything I want. So I have to plan what kind of synth arsenal I will build. Thanks to Fun with Lifeforms videos I have learned how to record live performances with analog synths. Before those I haven't used my analog gear without midi cc that much. I like sound of them but it has been quite convenient to use midi cc to automate parameter changes inside daw. Using instruments knobs and sliders is more fun but daw automation is easier and more precise. Now when I have feel for tweaking the sound on instrument and know how to record it like I want I have started to get interested in synths I have bypassed earlier because lack of midi cc. Eurorack is one of those. Korg Arp Odyssey is another. Everything not having digital control looks more interesting now. Having everything analog gives sound some sort of life. There is drifting everywhere and things like room temperature changes the sound. You have to record what you get because you might not get that ever again. That is the magic of analog gear without presets and digital controls. The gear is expensive and takes lot of room. There are differences between different types of synths. Modular synths give most options but cost more and are harder to use. Standalone synths are cheaper but with less options. Semi modulars are somewhere in between. I have each and each has pros and cons. For modular con is I have to pay 5000 euros to get what I want. I don't have to pay that at once. I could build it module but module and get something new each time. Sounds good but I still wouldn't get what I would get with Korg Arp Odyssey. Korg Arp Odyssey wouldn't connect with eurorack too well. Semimodular would connect and have price advantage of standalone synths. Getting many semi modulars take more room than modular. I have no idea which route I take. Probably mix of all because each have what others can't do and that is what I have done so far.